Lift your training performance and show your support for the mighty Blues at Origin time in a replica NSW Training Jersey, complete with VapoDri moisture wicking properties and official Blues team and sponsor logos. Who do you support in the State of Origin? If your allegiance lies south of the border, then we have the gear to get you ready for battle in a 2019 NSW Training Jersey. Constructed with 100% Polyester, this superior jersey uses VapoDri moisture wicking technology to keep you cooler and drier. 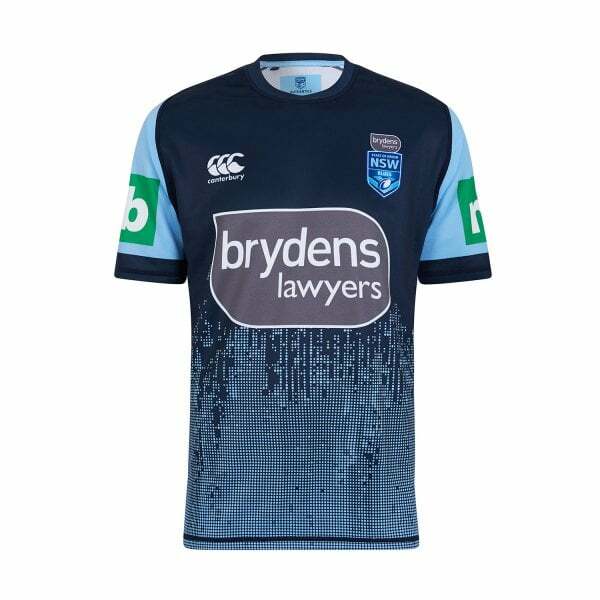 It also features NSW team and sponsor logos to identify your support for the Blues, plus the CCC logo to show you’re a member of the Canterbury team. So improve your training performance and prepare yourself for Origin battle is this quality jersey, available now in our 2019 NSW replica on field collection.